People who use certain heartburn drugs like Nexium and Prilosec are 20-50% more likely to develop short- and long-term kidney problems than people who use other acid reflux drugs, according to recent studies. Personal injury lawyers are filing lawsuits alleging that drug manufacturers intentionally withheld information from consumers and the medical community about the risks of kidney injury associated with certain proton pump inhibitor (PPI) heartburn medications. Kidney Injury from Nexium or Prilosec? Know your Rights. If you have suffered kidney damage and have taken Nexium, Prilosec, or other proton pump inhibitor drugs, you may have a legal claim. Call toll-free (800) 254-5676, or fill out the form for a free, confidential attorney consultation. We are compensated for our legal services when we successfully resolve our clients’ claims. If we are unable to successfully resolve your claim, you are not obligated to pay attorneys’ fees. For answers to more questions about legal fees and costs, call toll-free (800) 254-5676, or send us a Text or Message using the form in the right column. Our personal injury lawyers are national leaders in pharmaceutical litigation and have represented thousands of people injured by defective drugs and devices, including Risperdal anti-psychotic drugs, Yaz birth control, Actos diabetes drugs, Pradaxa blood thinner, Granuflo dialysis drugs, transvaginal mesh implants, the Mirena IUD, testosterone supplements, and Medtronic heart defibrillators. We also have extensive class action and complex litigation experience, representing clients in lawsuits ranging from consumer fraud and securities litigation to employment and whistleblower lawsuits. The study in the Journal of the American Society of Nephrology compared the risk of kidney injury from proton pump inhibitors to the risk of kidney injury from a different class of heartburn drugs called H2 blockers, or histamine H2-receptor antagonists. For five years, researchers monitored the renal health of 173,321 people who took PPI drugs like Nexium, Prilosec, Prevacid, Dexilant, Protronix, Aciphex, Zegerid, and Kapidex and 20,270 people who took H2 blockers like Zantac and Pepcid. After five years, researchers determined that people who used PPI heartburn drugs may be 96% more likely to develop kidney failure and 28% more likely to develop chronic kidney disease than people who used H2 blockers like Zantac and Pepcid. Over the course of five years, 15% of people using PPIs developed chronic kidney disease. According to CBS News, the study also examined the incidence of kidney injury among people who took drugs like Nexium, Prilosec, Prevacid, Dexilant, Protronix, Aciphex, Zegerid, and Kapidex once daily with people who took the drugs twice daily; those taking PPIs twice a day were 46% more likely to develop chronic kidney disease, compared to a 15% increased risk for CKD with once-daily use. To read an abstract of the study or purchase the full article, click here. I was very happy with how they handled it and kept me informed. I always felt that if I had any questions, I could feel free to call them, which I did a number of times. They were always available to talk to me. Have you been inundated with Nexium and Prilosec lawsuit television commercials discussing the risks of kidney damage associated with proton pump inhibitor drugs? 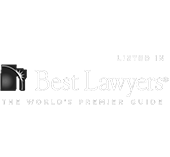 We encourage our potential clients to interview each law firm to make sure the firm is a good fit and that it can properly address the clients’ needs and expectations from a lawsuit. Unlike the firms responsible for many of the television advertisements, the attorneys with Gibbs Law Group LLP handle your case personally and litigate it from start to finish. Our team members are always available to discuss the details and progress of your case at any time. The use of PPI heartburn drugs is associated with acute interstitial nephritis (AIN), chronic kidney disease (CKD), and end-stage renal disease (ESRD). Acute interstitial nephritis causes the spaces in between the tubules of the kidney to become swollen and inflamed. Sudden AIN impairs the kidney tubules’ absorption of water and beneficial substances from the blood, as well as the secretion of waste into urine. Chronic kidney disease is a condition characterized by the kidneys’ failure to properly filter the blood. During CKD, kidneys gradually lose function, resulting in the build-up of dangerous levels of fluid, electrolytes, and waste. Chronic kidney disease may ultimately lead to end-stage renal disease and kidney failure, both fatal if not treated by regular dialysis or a kidney transplant. Though the medical community is unsure how PPI drugs damage the kidneys, CBS News report theories that the decline of magnesium caused by PPI drugs as well as inflammation in the kidney may lead to AIN, CKD, or ESRD. Kidney Damage from PPI heartburn medication? Get a free consultation. You may be eligible for compensation from the drug manufacturers if you have suffered acute interstitial nephritis (AIN), chronic kidney disease (CKD), or end-stage renal disease (ESRD) and have taken Nexium, Prilosec, or other PPI drugs. To get your potential claim started, call toll-free (800) 254-5676, or fill out the form. Nexium (esomeprazole) and Prilosec (omeprazole) belong to a class of drugs called proton pump inhibitors (PPIs). PPIs have been used since the early 1980s to treat gastric acid disorders like gastroesophageal reflux disease (GERD) and heartburn in which stomach acid is regurgitated into the esophagus. PPIs relieve gastric acid disorders by reducing the production of stomach acid via proton pumps, or enzymes in the cells of the stomach lining which produce the main component of stomach acid, hydrochloric acid. According to NPR, one in 20 Americans use PPIs to treat gastric acid disorders. Healthline reports that in 2008, the market for esomeprazole and omeprazole medications was $13.9 billion. Prior to 2014, Nexium was only available by prescription. Presently, Nexium OTC, Prilosec OTC, and numerous brand-name equivalents such as Prevacid, Protronix, Dexilant, Aciphex, Zegerid, and Kapidex, are available over the counter as well as by prescription. In 2014, the Food and Drug Administration mandated a label change to Nexium tablets indicating the increased risks of acute interstitial nephritis (AIN), inflammation in the kidneys which inhibits proper filtration of the blood. The label change also required Nexium bottles to bear warnings regarding vitamin B12 deficiencies. Three years prior in 2011, the FDA advised medical practitioners and patients to exercise caution when using high-dose prescription PPIs for periods of a year or longer, citing increased risks of osteoporosis and bone fractures. The risks of kidney damage at issue in this lawsuit do not pertain to a class of heartburn drugs called H2 blockers, or histamine H2-receptor antagonists. Examples of brand-name H2 blockers include Zantac, Pepcid, Tagamet, Tazac and Axid. Gibbs Law Group is currently litigating another lawsuit against Nexium manufacturer AstraZeneca concerning the pharmaceutical company’s alleged antitrust violations. According to the lawsuit, AstraZeneca paid substantial sums of money to generic drug manufacturers in exchange for their agreement to delay the production and marketing of generic versions of Nexium until May 2014. Gibbs Law Group’ founding partner Daniel Girard serves on the court-appointed Executive Committee in the federal Nexium Antitrust litigation.